We still have a long ways to go until The Children’s Place’s Black Friday 2019 sale arrives. But you can scroll down the page to check out the details from their last Black Friday sale to get an idea of what’s likely to come. Enjoy! Updated on Sunday November 18, 2018: Thanksgiving may still be a few days away but The Children’s Place is not making you wait to shop their Black Friday sale this year. It starts today! Visit childrensplace.com, or your nearest store or outlet, and get 50% off to 70% off the entire store! And what’s even better, you’ll get an extra 60% to 70% off in their clearance section, no exclusions. Be sure to also see their “spend more, get more” details (found in the ad copy below) to get a $5 to $15 off coupon with qualifying gift card purchases. Free shipping is included with all online orders, no minimum purchase is required. Everything you’ll need to know about the sale can be found below. That includes a their mile-long offer terms and conditions — yikes! Good luck and happy bargain hunting… hope you find some cute outfits for your little one! What are you planning on getting at The Children’s Place this Thanksgiving weekend? Let us know and anything else on your mind in the comments (you’ll find the comments section located at the bottom of this page). Updated on Monday, November 20, 2017: Black Friday deals at The Children’s Place just went live early. Just like last year, the entire store is 50% to 70% off. You’ll also find a number of doorbuster deals like the Glacier Fleece on sale for $4.99, graphic tees on sale for $4.99, and basic denim pants at $7.99. Plus, you’ll earn Double Place Cash starting today which means you’ll get $20 for every $20 spent in stores or online. Some exclusions apply. Everything is while supplies last. We’ve posted their ad with the official terms and conditions below so be sure to take a look for offer details. Updated November 22, 2016: Just moments ago, The Children’s Place officially launched their Black Friday sale! Starting today you can shop in-store or online. Just like in 2015, this year they are once again featuring 50% to 75% off the entire store with free shipping if you end up shopping online. That means you can get kids basic denim for $7.99, all outwear for 60% off (perfect for these cold chilly days), 50% off graphic tees and sleepwear, and a whole lot more. And if you decide to buy a gift card, then you’ll also receive a $10.00 coupon for free. We’ve posted their Black Friday flyer with all of the sale highlights and offer terms below so be sure to check it out. 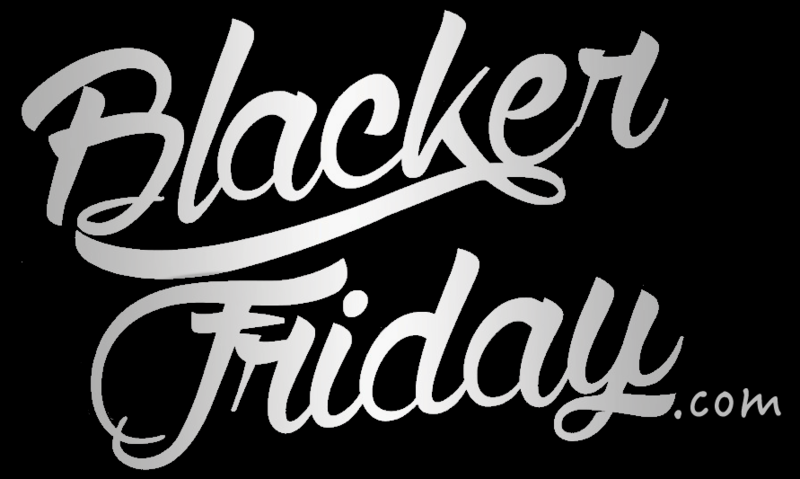 Black Friday has just gone live at The Children’s Place! And this year it seems like the deals are even better than in 2014 with 50% to 75% off EVERYTHING in the store (except gift card of course – but if you do end up buying gift card, you’ll get a $10.00 coupon for yourself).They are also having select in-store doorbuster deals with all Glacier Fleece at $4.99 and all Basic denim at $7.99. If shopping online, free shipping is also included. We’ve posted the full terms and conditions and the Black Friday announcement email down below so check that out. Looking at the terms, we’re not quite sure when their sale ends but it’s likely to run through Cyber Monday (November 30, 2015). We’ve also noticed that they are advertising a $10.00 off offer to be applied your next purchase of you signup to their email list (new subscribers only) but we’re also not sure if this can be combined with their Black Friday offers. This Black Friday you can fill in your Little Fashionista’s wardrobe with some desired outfits at some great deals! The Children’s Place is having a storewide and online sale where you can save a bunch as everything is 50% off! Additionally, they offer a free shipping on your online purchases. But if you decide to visit the Children’s Place stores, be sure to get there first as they offer some doorbusters deals including all glacier fleece at only $4.99 and all basic denim at $7.99. Hundreds of Children’s Place stores opens at 6 P.M. on Thanksgiving! Be aware that the 50% off deal does not apply to doorbusters, sleepwear and footwear items plus the offer ends Friday, November 28, 2014. However, the great thing worth mentioning is that all discounted prices are already reflected to all the sale items and no special coupon code is needed. They made it really easy for everyone to calculate their final shopping cost rather than trying to figure out what the bill will end up to be. The Children’s Place: Helpful Links & More! Find the nearest The Children’s Place store in your neighborhood. If you have order related questions or need product return assistance then you can contact The Children’s Place Customer Service by phone at 1-877-752-2387. Their support team is available weekdays from 9:00AM to 7:00PM ET and Saturdays from 9:00AM to 5:30PM ET (closed on Sundays).